On this weekend when the nation appears to pull back from the brink of a new financial crisis, two major papers feature reviews of AGE OF GREED: The Triumph of Finance and the Decline of America, 1970 to the Present by Jeff Madrick. David Greenberg in the Washington Post sets the book in the context of other efforts to characterize the period of American history since the 1960s. In “Restless Giant,” James T. Patterson placed prosperity and freedom at the center of our fin de siecle journey. For Sean Wilentz, it was “The Age of Reagan,” a time of ascendant conservatism. Daniel Rodgers calls it an “Age of Fracture,” when old and widely shared verities splintered into a jumble of irreconcilable premises. chronicles how Americans ended up with the highly unregulated financial system that produced the meltdown of 2008 and the fallout that lingers three years later. What’s most novel about the book, which relies heavily on other secondary accounts, is that unlike other recent treatments of the financial crisis, it traces the origins of the problem not to the Bush or Clinton or even Reagan years, but all the way to the late 1960s. 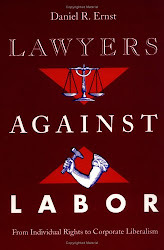 But the title oversimplifies, Greenberg argues, and the book as a whole "elides...the difference between those rogues whose greed led them to run afoul of the law and those whose greed the system has in fact smiled upon." Continue reading here. Sebastian Mallaby in the New York Times emphasizes Madrick's argument that "a cabal of conservatives, driven first by greed and second by 'extreme free-market ideology,' gradually seized power. The result, as proclaimed in his bold subtitle, was 'the triumph of finance and the decline of America.'" But the author's argument is "slippery," he argues. "A history of neoconservatism can home in on self-professed neocons, whose actions are clearly informed by a defined body of beliefs. But it’s harder to identify a cabal that self-consciously embraced greed as a guiding philosophy." Ultimately, for Mallaby, the book's thesis is "unconvincing," though his "worthwhile" stories "rescue" the book. Read the rest here. With political change in Turkey in the news, Stephen Kinzer has an essay "Triumphant Turkey" in the August 18 New York Review of Books, discussing: Turkey and the Dilemma of EU Accession: When Religion Meets Politics by Mirela Bogdani, The Mobilization of Political Islam in Turkey by Banu Eligur, Turkey, Islam, Nationalism, and Modernity: A History, 1789–2007 by Carter Vaughn Findley, and Streets of Memory: Landscape, Tolerance, and National Identity in Istanbul by Amy Mills. Also in the NYRB, How Google Dominates Us by James Gleick, discussing four Google-related books. I’m off to Goose Pond, in Canaan, New Hampshire. I’ve enjoyed being a part of the Legal History Blog in the past month. Thanks so much to Mary Dudziak for inviting me to do this! This October, Boston College’s Clough Center for the Study of Constitutional Democracy will host an interdisciplinary roundtable on Gerard Magliocca’s new book The Tragedy of William Jennings Bryan: Constitutional Law and the Politics of Backlash (Yale, 2011), featuring Michael Kazin (History, Georgetown), M. Elizabeth Sanders (Government, Cornell), Magliocca (Law, Indiana-Indianapolis), and yours truly. Given recent (and current) events in Washington, the timing of a book that examines the origins of late nineteenth century laissez-faire constitutionalism could not be better. 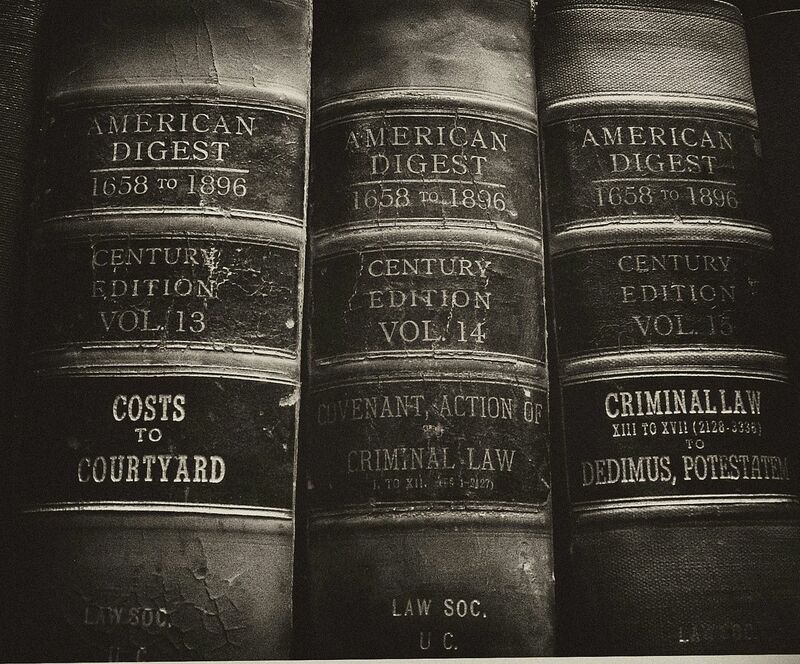 Of course, this topic has been treated many times before, including in classic works such as Arnold M. Paul’s, Conservative Crisis and the Rule of Law: Attitudes of Bar and Bench, 1887-1895 (Cornell, 1960). Paul (also) argued that the “crisis psychology” that formed in response to efforts to build the modern state provoked a backlash that unleashed a robust anti-government philosophy that fundamentally transformed the institutional power of the judiciary, and both court-articulated constitutional doctrine, and the nation’s broader constitutional politics. It is interesting to think about the similarities and differences between Magliocca’s account of this era and these dynamics with that offered by the classic progressive accounts of the same period by scholars like Arnold Paul, Sidney Fine, and others. It would be interesting as well to consider the developmental dynamics of laissez-faire constitutionalism of that earlier era with that unloosed by the purveyors of “the lost Constitution” in our own. At one point, Magliocca claims that “William Jennings Bryan … exerted more influence over constitutional law than anyone else at the turn of the twentieth century.” (p. 149). Is that true? How would we assess such a claim, historically? Yale University Press’s précis for the book tells us that Magliocca “explores how Bryan's effort to reach the White House energized conservatives across the nation and caused a transformation in constitutional law.” One of the odd things about the current situation is that it certainly feels like Barack Obama is being cast by the Right in precisely the light that the late-nineteenth century Right cast William Jennings Bryan – despite the fact (yes, “the fact”), the Obama, a moderate, is nothing at all like Bryan. What are we to make of this? These days, moreover, the Supreme Court has hardly taken a leadership role in the propagation in extreme forms of laissez-faire (so far), which has been rooted in movement politics. Will this change? Will the two trajectories prove the same? Is that even possible, in a context in which the wider public is deeply accustomed to, and dependent upon, the services of the modern welfare and regulatory state? 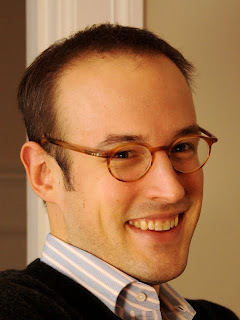 Chris Beneke, writing for the Historical Society, has posted Ten Commandments for book reviewers (e.g., #4: "Thou shalt not treat the omission of your own book from the endnotes as a personal affront, punishable by withering historiographical criticism."). Over at the UNC Press Blog, Jill Ogline Titus (Washington college) previews some of the material she develops in Brown’s Battleground: Students, Segregationists, and the Struggle for Justice in Prince Edward County, Virginia (forthcoming, December 2011). The growing recognition of the role of law in financial and economic development has generated significant disagreement about what determines the structure and content of legal institutions in the first place. Legal traditions and local politics have emerged in the literature as the most likely sources of legal development, but the relationship between these two forces remains largely unexplored. This Article investigates the determinants of legal evolution by examining the development of corporate laws in Brazil since the early nineteenth century. Contrary to standard views, foreign commercial law models were neither forcefully imposed by Portuguese colonizers nor followed automatically due to language or cultural affinity with the French legal tradition. Brazilian lawmakers deliberately picked and chose among the laws of different civil and common law jurisdictions, and substantially altered their essence, in order to best fit the interests of incumbent elites. Politics mattered from the outset, while legal family considerations were not a significant constraint to early transplant decisions. This Article also suggests that selective legal transplants and local adaptations were one of the channels through which elites periodically recreated inefficient institutions over time. This article explores the unique and complex mix of statutory provisions and common law jurisprudence that characterizes federal intellectual property law. Patent and copyright law trace their roots back to terse 1790 enactments on which the judiciary embroidered critical requirements and limitations. In line with common law traditions and less formal division between legislative and judicial roles in the early republic, courts established many critical doctrines and frameworks, including patentable subject matter limitations, patent’s inventiveness (non-obviousness) standard, patent and copyright infringement and indirect infringement doctrines, patent’s experimental use, and copyright’s fair use, among other important doctrines. The rapidity and unpredictability of technological change have continually buffeted courts with new challenges. Jurists have drawn upon their common law background, tort law and equitable principles, and pragmatism to evolve the patent and copyright systems. This response system in conjunction with Congress’s institutional impediments to responding quickly to technological change has enhanced the judiciary’s substantive imprint on federal intellectual property law. It has enhanced intellectual property law’s sensitivity to the inherent heterogeneity of creative activity and improved its responsiveness to technological change. Congress has perpetuated these evolutionary processes – both expressly and implicitly – throughout U.S. history. Hence, courts should be especially careful to trace the provenance of copyright and patent provisions and doctrines to determine the proper lens for interpreting and evolving these laws. 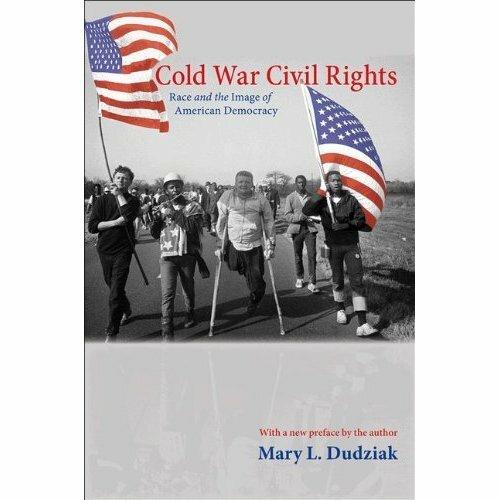 A new edition of my first book, Cold War Civil Rights: Race and the Image of American Democracy, is just out from Princeton University Press. 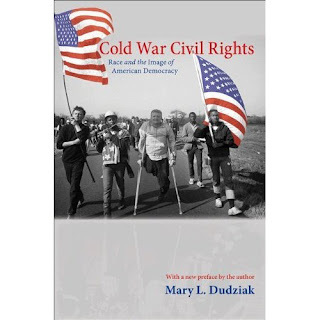 If you are a graduate student interested in civil rights during the Cold War era, I wrote the new preface for you! Here's the Amazon link. Shadd reviews Liu, Karlan, & Schroeder, "Keeping Faith with the Constitution"
According to reviewer Philip Shadd (Queen’s University), the book "provides a clearly written, succinct, and compelling analysis of the historical trajectory of American constitutional interpretation." Goodwin Liu, Pamela S. Karlan, and Christopher H. Schroeder frame their argument in KEEPING FAITH WITH THE CONSTITUTION by dividing existing theories of constitutional interpretation into two camps, and by presenting their own theory as a third option (pp.25-26). On the one hand are theories that argue the constitution should be interpreted as the original Framers would have understood it; on the other are those that argue the constitution should be viewed as a “living tree.” The theory proposed by the authors – “constitutional fidelity” – is preferable to both because it recognizes that in order to be faithful to the constitution, interpretations must account both for the principles of America’s jurisprudential past as well as for the changing social contexts in which those constitutional principles must now be applied. Only in this way can the constitution remain a vital and democratically legitimate document for future generations of Americans. Keeping Faith with the Constitution has been in the news recently because of Liu's confirmation battle. This review is a reminder of the book's strengths and weaknesses as a piece of scholarship. Readers of this blog may be particularly interested in the authors' use of historical examples and their emphasis on change over time in social attitudes. The full review is here. Louise Trubek (Wisconsin--Law) has posted a working paper to SSRN, "Public Interest Law: Facing the Problems of Maturity," that may be of interest to historians of the legal profession and scholars of public interest law. The abstract follows and the full paper is available here. This article discusses the history and current status of public interest law. It examines the seminal work of the 1970s that established public interest law and contrasts the early period with the complexities and challenges today. It opens with a discussion of the key aspects of enterprise in the 1970s: creation of a new institutional form, the new role of public interest lawyer, the business plan for financing the firms and the economic, institutional regulatory justification. That the project has succeeded and public interest law has become a permanent part of the U.S. legal system. Looking at where we are today however there are two unfinished projects: inequality in society and the limits of the regulatory process. Lawyers today are redesigning the 1970s concepts to meet the challenges. They are engaging in collaborative practices, utilizing new roles as collaborators and facilitators, locating additional compensation and participating in public interest endeavors around the world. About a year ago, through the good offices of Steve Teles, I had lunch with Angus Burgin, a young historian finishing up his Ph.D. in history at Harvard, on his way to teach at Johns Hopkins. Burgin sent me a copy of his Ph.D. thesis on the highly influential free market Mont Pelerin Society, which I’ve used in my ongoing project on postwar constitutional conservatism. It will soon be published as a book. I am currently finishing a book manuscript for Harvard University Press, The Return of Laissez-Faire, which draws on archival collections in Germany, Switzerland, France, England, and the United States to examine the reemergence of free-market ideas in the decades following the onset of the Great Depression. It focuses on the members of the Mont Pelerin Society, an international organization founded by Friedrich Hayek in 1947 to bring together economists, philosophers, journalists, and philanthropists who sought to rehabilitate public support for the market mechanism. In the years before the founding of the society, advocates of laissez-faire were marginalized within both the international scholarly community and the American political environment; a half-century later, opposition to state interference in the actions of the competitive market had become pervasive within economics faculties and increasingly influential in the public sphere. The Return of Laissez-Faire surveys the dynamics that made this transformation possible: between economists and politicians, intellectuals and rhetoricians, and transnational academic networks and domestic policy debates. This study promises to be a significant contribution the history of twentieth century conservatism. Historians of anti-poverty law and criminal law may be interested in this new release from NYU Press: Cheating Welfare: Public Assistance and the Criminalization of Poverty, by Kaaryn Gustafson (University of Connecticut School of Law). Over the last three decades, welfare policies have been informed by popular beliefs that welfare fraud is rampant. As a result, welfare policies have become more punitive and the boundaries between the welfare system and the criminal justice system have blurred—so much so that in some locales prosecution caseloads for welfare fraud exceed welfare caseloads. In reality, some recipients manipulate the welfare system for their own ends, others are gravely hurt by punitive policies, and still others fall somewhere in between. In Cheating Welfare, Kaaryn S. Gustafson endeavors to clear up these gray areas by providing insights into the history, social construction, and lived experience of welfare. She shows why cheating is all but inevitable—not because poor people are immoral, but because ordinary individuals navigating complex systems of rules are likely to become entangled despite their best efforts. 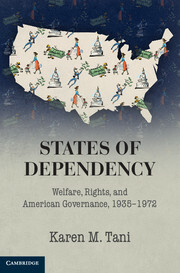 Through an examination of the construction of the crime we know as welfare fraud, which she bases on in-depth interviews with welfare recipients in Northern California, Gustafson challenges readers to question their assumptions about welfare policies, welfare recipients, and crime control in the United States. The introduction and TOC are available here. I’ve been thinking about a question arising out of the coincidence of my reading Gary Lawson et al.’s The Origins of the Necessary and Proper Clause (Cambridge 2010) and David Rabban’s Law’s History (Cambridge, forthcoming) at the same time (see my previous two posts): what is the appropriate way – normatively/interpretively/historically -- for us to think about the relationship between public and private law? Both Lawson et al. 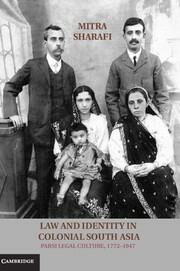 and Rabban show that (in the founding era, and the late nineteenth century, respectively), the language and conceptual frameworks of private law often bleed into the governing understandings of the nation’s public law – including its constitutional law. I’m sure most of us could cite many other examples of this dynamic. Lawyers are lawyers: it would be surprising if the conceptual frameworks they use to analyze legal problems in one sphere didn’t influence how they thought about the same in another. In some historical periods, this inter-penetration of public with private law can prove highly significant. Once again, though, speaking as a political scientist, I wonder about how authoritative – how legitimate – such private law/public law bleeds should be considered. To re-visit a point I made in my post on Lawson et al. from a different perspective, does the simple fact that constitutional language was borrowed from the law of agency mean that Congress’s powers must be construed through the principles of (private) business law? To what extent, by contrast, are authoritative interpreters – even those adopting originalism as their touchstone – obligated to think about political theory as an indispensible component of the interpretive process? Put otherwise, does the mere fact that constitutional language is drawn from the law of agency mean that one is obligated to understand his congressman as a direct analogue to his stockbroker, accountant, or attorney? Can private ever truly be transferred in its original form, unaltered, into the domain of public law? How should we think about these sorts of questions -- in the specific case Lawson et al. address, and in other areas of public law?